KINGSTON, Jamaica, Jul. 4, CMC – National Security Minister Robert Montague, says intelligence is showing that there is a reduction in guns and ammunition coming into the island, due to the two ships and surveillance plane acquired by the Government. 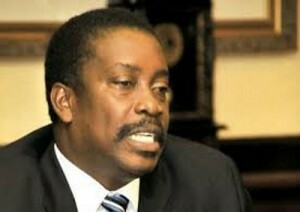 According to Montague, the Government is equipping the security forces so that criminal elements will have no cover from the law. Earlier this year, the Government acquired and deployed the two vessels and aircraft for the protection of Jamaica’s borders from illicit activities. Montague, who was addressing a handover ceremony for 30 vehicles to the Jamaica Constabulary Force on Monday, said public spaces and roadways will have increased police presence. He emphasised that increased mobility of the police will act as a force against crime, as more law-enforcement personnel will be able to go into communities to put pressure on wrongdoers, and provide security for law-abiding citizens. He also said that the top-five most-wanted guns are featured in 51 murders in six police divisions, and “increased vehicle checkpoints will help to cut down on the movement of weapons”. Meanwhile, Deputy Commissioner of Police, Clifford Blake, who received the vehicles on behalf of Commissioner, George Quallo, said the units will go into operation immediately.